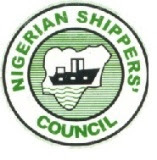 The Executive Secretary of the NSC, Mr Hassan Bello, made the call at the opening ceremony of the 2015 Nigeria Maritime Expo (NIMAREX) at the EKO Hotel and Suites, Victoria Island, Lagos. Bello said there was no better time than now, to make the conscious effort to make good use of the potential for economic growth that is available in the industry. “This is the best time to look at the economic importance of the sector and see how it translates into growth. “Government needs to organise and channel its conscious efforts to providing the environment for growth of the industry,” Bello said. Speaking on the state of infrastructure, which should enable the industry move forward, Bello said the state of the port access roads and lack of efficient power supply was a big challenge. He said that dealing with the challenges in the industry such as the poor access roads and lack of power supply, the maritime industry would contribute it’s expectations to the nation’s economy. Speaking at the event also, Barr. Calistus Obi, an Executive Director, Cabotage and Maritime and Maritime Service, NIMASA, encouraged indigenous ship owners to unite for them to get the needed attention of government for the growth of the industry. Obi also said that in the bid to support indigenous capacity, NIMASA had developed its human capacity building programme, an initiative to develop indigenous seafarers.